Estonian drinks company, AS Liviko, says it has been hit by endless excise increases and the impact of various economic activities in the region. The producer and seller of alcohol, has announced an audited, consolidated, net turnover of €129.7m for 2016. It paid €70.6m in alcohol excise duties. The audited consolidated earnings before interest, taxes, depreciation and amortisation (EBITDA) of the AS Liviko group was €5.8m and the net profit was €4m. Net turnover grew by 8% in comparison with 2015, a net profit of 42%. AS Liviko is one of three largest drinks companies in the Baltic region. It says it pays as much attention to imported drinks brands it represents as it does to its own production. AS Livik board chairman Janek Kalvi, said: “Last year was very difficult from the viewpoint of the alcohol company, as normal economic activities were disturbed by endless excise increases and the impacts of these on economic activities. "2016 saw periods before two alcohol excise rises when alcohol was largely in storage. Adaptation to the tax and market changes required a lot of additional resources and a big part of the Estonian sales of alcohol now goes through Latvia. “By the end of the year, we were forced to conclude that alcohol excise had been accrued to the state budget only 10% more than before the period of soaring excise increase, while the excise rate itself had grown by 32% – this clearly shows that the tax ceiling of strong alcohol has long been exceeded." The domestic sales turnover of own production increased last year by 17% in comparison with 2015. There were also advance purchases before the increase in excise at the beginning of the year and at the end, and growth in the export of own production by 8%. The export of own production was significantly facilitated by Latvian border trade, but also by partial restoration of Russian and Ukrainian sales after the economic crisis. Also, the company says, sales success in the duty free and travel trading sector was important. Liviko says within own production, sales of gins grew most, with the success of Crafter’s London Dry Gin. 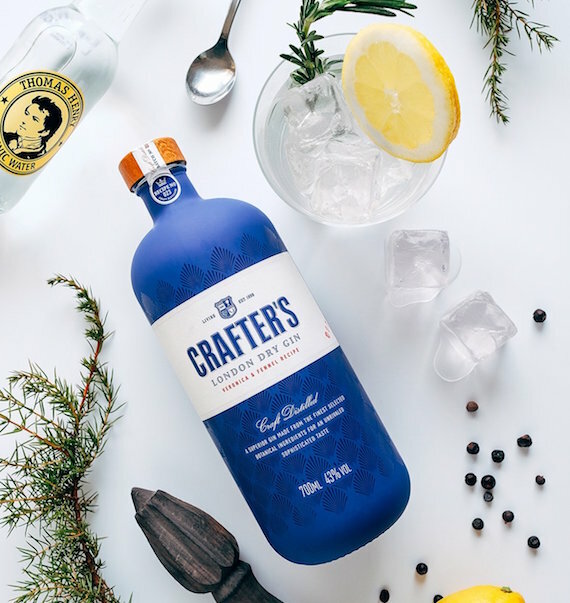 Crafter’s London Dry Gin won the prize of best Estonian alcoholic beverage and Golden Egg for the best package last year. Kalvi added: “For us it is important that the premium class brands of Liviko – Vana Tallinn, Viru Valge and Crafter’s London Dry Gin – are well represented at different external markets and in the tax free and duty free sectors. "For example, an important cooperation agreement was concluded with one of the biggest duty free operators in the world, Gebr Heinemann, which only selects the world’s well known and most loved brands." AS Liviko works in nearly 30 export markets, the biggest of which are: Russia, Finland, Latvia, Lithuania, Germany, Ukraine and the US. Sales of the Latvian subsidiary of AS Liviko – SIA Liviko – increased by 11% in comparison with 2015, reaching €30.2m, and business profit grew by 67%, reaching €1m. Return on sales of the Lithuanian subsidiary UAB Liviko decreased last year in comparison with 2015 by 13.5%, to €11.5m, but the company says it managed to achieve a profit of €113,000 after restructuring. AS Liviko describes itself as a quality alcohol producer with a 119-year-old tradition, having been established in 1898. It says it has developed an alcohol distribution and wholesale network in Estonia, Latvia and Lithuania, through which imported brands are marketed alongside its own production.